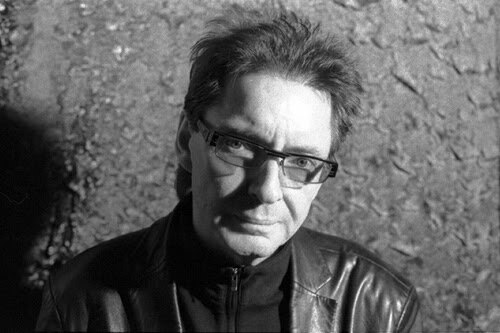 Interview With Bruce Foxton – Paul Weller News! Bruce Foxton is heading down memory lane. The former bass player with one of Britain’s best-loved bands, The Jam, is en route to West Yorkshire next week to perform a string of classics from the ’70s and ’80s. Bruce is returning to this corner of the England next month with his latest band, From The Jam. A homage to his past, the band also features one-time Jam drummer Rick Buckler and singer and guitarist Russell Hastings, a longtime Jam fan, formerly of the mod band Maximum High. The gig is part of a short summer summer tour that marks the band’s return to the live arena after a difficult few months for Bruce. It will also be From The Jam’s first dates without their second guitarist and keyboard player David Moore, who, says Bruce, left the band amicably “to pursue other business interests”. Bruce is full of praise for Russell’s contribution to a role once filled so effectively by Paul Weller. In their eight years together, The Jam recorded more than 100 songs and became the first band since Slade in the 1970s to have three singles enter the charts at No.1. Compiling an hour-and-a-half setlist from such a weighty songbook poses a few problems as “everybody in the band has their own favourites”, admits Bruce, but “we’re getting round to each other’s preferences the more we go out”. He’s enjoying things so much he doesn’t even mind if the band drop some of his own songs, such as Smithers-Jones and News of the World, from the set. Looking back, Bruce has nothing but fond memories of his time in The Jam. Their success from 1977 onwards certainly justified his decision, three years earlier, to quit the “progressive rock band rehearsing in a village hall” that he’d been in for life on the road with Rick and Paul, and Paul’s father John, The Jam’s manager. Initially Bruce was the band’s rhythm guitarist but when their fourth member, Steve Brookes, left “I was handed the bass from Paul”. The Jam arrived on the pub circuit in London “just as punk exploded”. Suddenly guitar solos and bloated rock star excesses were out and snappy three-minute songs and youthful energy were in. Punk, says Bruce, “gave Paul a direction which he really liked” and gave the band “encouragement to keep going”. Even more fortunately, he and Rick “have still got that buzz” that they had when they first performed this material in their early twenties. After The Jam split, Bruce pursued a brief solo career whose “mediocre success” convinced him “that I function better as part of a band”. There was, he recalls, “not an awful lot of quality control from the label”. When the offer came to join his old friends Jake Burns and Dolphin Taylor in Stiff Little Fingers he “jumped at the opportunity”. He was with them for 15 years (“We had a cult following and we went down very well”) but left in 2006 to form the shortlived Casbah Club with Pete Townshend’s son, Simon. In 2006 the Casbah Club shared a bill in Guildford with Rick Buckler and Russell Hastings’ then band The Gift. Bruce was tempted to play a couple of old Jam songs with his former bandmate and a year later From The Jam was formed. Paul Weller hasn’t always been complimentary about this partial reformation of his old band, but he and Bruce and now firm friends again. Bruce steers clear of mentioning a full-scale Jam reunion with the singer – “I don’t even discuss it with him, I know the answer” – and in turn Paul “doesn’t even comment on what I’m doing”. “He has been very kind over the last few years – that’s more important to me,” Bruce adds. Now Bruce is trying to strike up a songwriting partnership with Russell Hastings. One track, Later Day, “went down really well” when they played it live with From The Jam last year, but “it’s very early days working with Russell”. In the meantime there are more gigs to think about. In the autumn and winter From The Jam will be touring again – they play the O2 Academy in Leeds on December 6 (Rick’s 54th birthday). The month before will be the 30th anniversary of the release of The Jam’s album Setting Sons, which included their first top 10 hit Eton Rifles. “It’s something that the winter tour is hanging its hat on, so to speak,” says Bruce, promising the band’s set will include several numbers from their landmark record. Bruce you are a legend and it's great that you're mates again with PW. I look forward to seeing you on tour this winter. Next Entry Paul Weller’s Times "Guest Play List!"